Capital City: Sukhum, also known as Akua in Abkhaz. Abkhazia is represented at the UNPO by the Ministry of Foreign Affairs of the Republic of Abkhazia. They were admitted to the UNPO as a member on 6 August 1991. Abkhazia is situated on the eastern coast of the Black Sea. It borders Russia in the North and Georgia in the East. In 1992, Abkhazia separated from Georgia, seeking international recognition of its independence. However, only Russia, Nicaragua, Venezuela, Syria and Nauru have formally recognized Abkhazia since the separation from Georgia. There is no longer any official Georgian presence in Abkhazia, and the de facto Government of the Republic of Abkhazia, currently headed by Raul Khajimba, has exercised sovereign rule over the area since the September 1993. 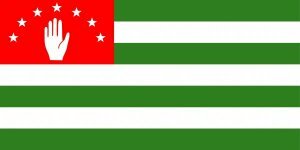 The Ministry of Foreign Affairs of the Republic of Abkhazia requests meaningful autonomy for their people through international recognition of their declaration of independence. They request reparations from the Georgian government for the damage caused in the War of Abkhazia in 1992-93. Furthermore, they request compensation for the economic cost of the embargoes placed upon them in 1996 by the Commonwealth of Independent States (CIS). 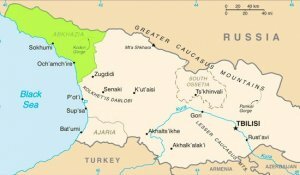 Finally, they request that ethnic Abkhazians and their descendants who fled to Turkey as a result of the 19th century Caucasian War be freely allowed to return to Abkhazia. On 29 May 2011, President Sergey Bagapsh passed away unexpectedly. Consequently, special presidential elections were held on 26 August 2011. Due to Abkhazia’s status as a de facto but laregly unrecognised state, the elections represented an important step towards successful democracy and equitable treatment of all Abkhazian residents, regardless of ethnicity. Following an invitation by the Abkhaz authorities, UNPO conducted an election observation mission (EOM) to Abkhazia during the elections won by Alexander Ankvab with 54.86% of the votes. On 24 August 2014, presidential elections were again held again - this time following demonstrations in late May, which ultimately led to the resignation of President Ankvab. Abkhazia’s decision to invite international observers, including UNPO, to monitor the elections signals that there is political will and commitment to ensure transparency and legitimacy of the democratic process in the country. After a first round Raul Khajimba was elected as President of Abkhazia with 50.57% of the votes. On 24 November 2014, a ‘Treaty of Alliance and Strategic Partnership’ was signed between Abkhazia and Russia, foreseeing stronger cooperation in foreign, defense, economic and social policy between the two parties. While this treaty signifies a new period in the bilateral relations between Abkhazia and Russia, Abkhazia managed to integrate its own political demands by changing and removing parts from the Moscow draft. As a result of the signing of the treaty, Russian President Vladimir Putin has promised subsidies worth more than $270 million over the next three years. Please download our Abkhazia Member Profile Brochure.